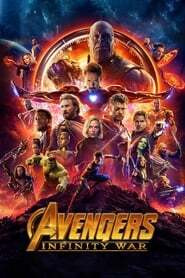 ""It is a bold undertaking, to readjust what is expected of the MCU/Avengers formula, and there are moments when the sheer scale and momentum match the narrative ambition..." Read the full review here: http://screen-space.squarespace.com/reviews/2018/4/25/avengers-infinity-war.html"
"Amazing. Visually stunning. So much going on, but somehow also clear and easy to understand. A little flabby in the middle third, but given the huge cast and story to cover it is very understandable. The highlight was the parings of characters from different stories and their interactions. If you aren't a Marvel fan this film won't convert you, but if you have liked any of the previous films you will like this too. 10/10"
"Just a very short, NO SPOILERS review I wanted to get down while it's still fresh. For a movie with this much riding it, to come out not feeling disappointed, is a **massive** achievement. While I absolutely do love it I had some things that I felt were maybe imperfect about _Infinity War_, but my biggest concern was that it seemed like it would be absolutely meaningless to somebody who didn't put in the effort of watching the 18 movies leading up to it. You can probably assuage that fear though, because I went to see it with two people who had only seen _Black Panther_ at this point, and they both loved it, with minimal confusion. Personally? I can't wait to see it again. This is probably the most excited I've been about the second watch of an MCU film since the first _Avengers_. _Final rating:★★★★ - Very strong appeal. A personal favourite._"
"The third act turns on a character being an idiot. That story beat renders all that the heroes do before and after it immaterial. That moment so preoccupied me that I couldn't enjoy the rest of the story, and made it impossible to ignore the flick's other glaring flaws anymore: the villain's motive makes no sense, the glove exists only to produce plot contrivances, the score is so obvious it might as well be cue cards on screen ("Feel sad now") ... The first half is some of the best action in a Disney Marvel entry yet, and the other half is so stupid that it sours the whole MCU experience." "Best MCU movie, more than that.... BEST SUPERHERO MOVIE EVER. Hands Down"
"Massive, epic movie. I'm so happy that Marvel is stepping up their game with their villains. For too long, MCU villains have been too bland and generic. But lately, the villains have improved with Michael Keaton's Vulture, Michael B. Jordan's Killmonger, and now James Brolin's Thanos. Thanos has appeared in several other MCU films, but he seemed rather flat in those movies. Here, he's allowed to be fully developed as a character. Especially touching is his relationship with his adoptive daughter, Gamora. It's actually surprisingly tender and moving. Thanos is the actual main focus of the film, and if he failed as a character, the entire movie wouldn't have worked. So bravo, Marvel!" 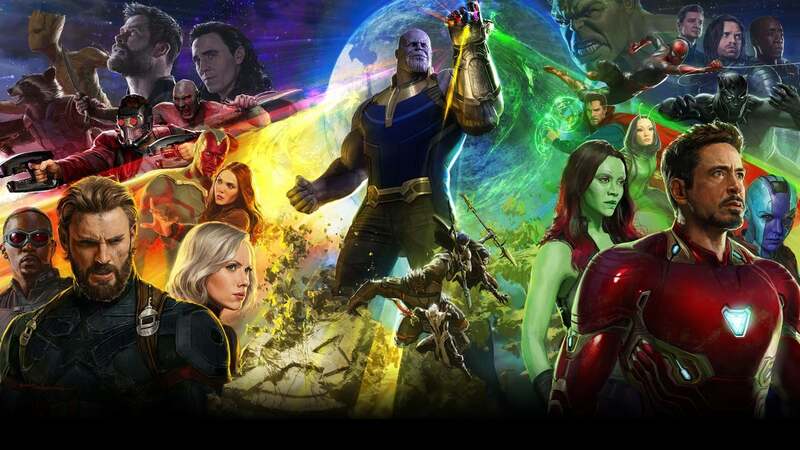 "Moving ending, but easily the least of the Avengers movies RELEASED IN 2018 and directed by Anthony & Joe Russo, "Avengers: Infinity War" chronicles events when the Avengers team-up with several allies to defeat the cosmic despot Thanos, whose goal is to collect all six Infinity Stones to attain unimaginable power and radically solve one of the Universe’s most challenging problems. The story focuses on Thanos, Thor and the Guardians of the Galaxy, especially Gamora, as well as Iron Man, Doctor Strange and Spider-Man. The rest of the cast members are decidedly peripheral, e.g. Black Widow, Captain America, Black Panther, Vision and Scarlet Witch. This is easily the least of the Avengers trilogy. Not to mention "Captain America: Civil War" (2016) and "Thor: Ragnarok" (2017) are significantly more compelling and all-around entertaining. Actually, all three Thor flicks are palpably superior, as is “Iron Man 2” (2010). If you haven’t already, I encourage you to watch these movies prior to viewing “Infinity War,” as well as “Black Panther” (2018) and the two “Guardians of the Galaxy” flicks (2014/2017); otherwise you’ll likely be lost because all these movies lead up to this one. “Infinity War” is certainly an ambitious comic book movie in that it notably juggles so many super-beings, but this lack of focus isn’t conducive to suspense or great drama. It’s okay at best with overkill CGI and the big battle in the closing act with the easily slaughtered four-armed dog-creatures is curiously dull. But the film gets extra points for a bold, poignant climax, which sets up the 2019 sequel. In any case, People giving it the top rating and calling it “the greatest superhero movie ever” need a serious reality check. THE MOVIE RUNS 2 hours, 29 minute and was shot in New York City, Scotland and Philippines with studio work done in Pinewood Atlanta Studios in Fayetteville, Georgia. WRITERS: Christopher Markus and Stephen McFeely. GRADE: C+"
"It's the epitome of superhero trash and the franchise of manchildren. The ultimate smashing your toys together to battle only this time it's for the world to see." "In 2012, Marvel Studios changed the cinematic landscape with a payoff that was five films in the making, proving a linked universe of movies could work. In 2014, they proved to be one of the finest purveyors of entertainment by releasing two of the best genre films of all time back to back. In 2018, Avengers: Infinity War is the culmination of ten years of narrative buildup. All the pieces were patiently put in place. The payoff? Never did my inner 8 year old think he would ever be watching a movie with Iron Man and Spider-Man sharing the same screen together, but here we are. Avengers: Infinity War is a very fine piece of 'turn your brain off' storytelling, except it actually goes the extra mile to have some intelligence. We all know the film isn't the Endgame, but we're primed and ready for Part 2. Shut up and take my  Marvel!"